As the demands of e-commerce businesses grow, so do their needs for inventory management. To to learn more about the importance of inventory management and e-commerce inventory best practices, keep on reading. E-commerce is a rapidly growing industry, as online sales continue to increase at a steady pace. With the rising popularity of e-commerce sales, customers have come to expect a streamlined purchasing process similar to that of, or even more so, than it would be in-store. This means that businesses must be able to compete by efficiently serving customers online, offering cheap or free shipping options, and shipping products quickly. To optimize their sale process, companies need a functioning front-end web site to make ordering as easy as possible, and an efficient back-end inventory setup to allow them to dispatch items as soon as they receive orders. 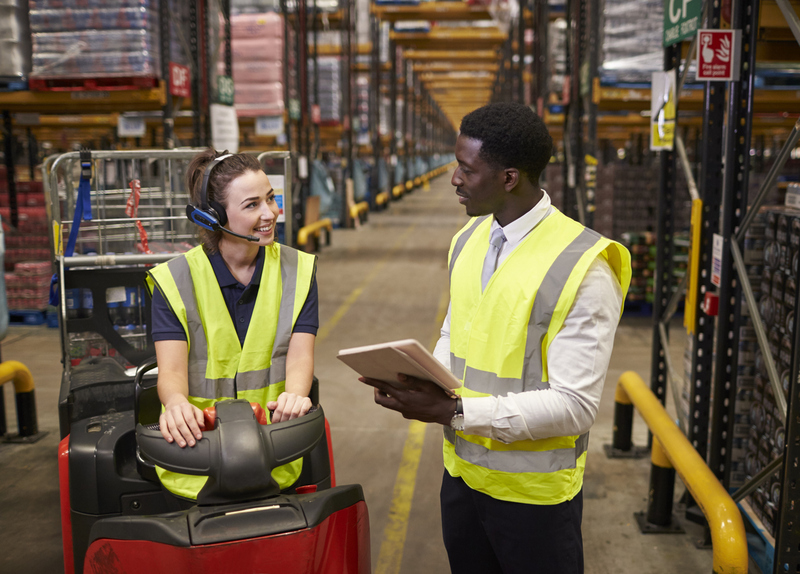 If they fail to integrate a functioning inventory management system for their e-business, it can be detrimental—especially if there are multiple warehouses to keep track of. Inventory management for e-commerce businesses will help ensure uninterrupted production, especially if your company is manufacturing products on your own. You’ll be able to monitor and know exactly how much stock is a buffer, so that you can avoid waste but guarantee you have enough product. You’ll also be able to keep track of the flow of inventory between your warehouses to make sure everything is where it needs to be and all needs are met. Thus, an efficient e-commerce inventory management system is absolutely imperative when it comes to meeting the demands of online customers. Not sure how to approach e-commerce inventory management? Which would be worse for your company—having too much product due to over-estimation of sales or missing some opportunities due to under-estimated sales? Do you have a strategy for dead inventory that isn’t selling? What channels do you intend to sell through and is there any data or research available to assist you with inventory planning? How is your information structured, or if you haven’t compiled data yet, how will your data be structured in the future? Will you be able to keep updated information on a product and SKU basis to make informed decisions per item? Before you begin gathering inventory information, you’ll have to assess a couple key inventory metrics. While these can be a little more helpful for companies with their own historical data, they’re important for startups to understand as well. There are three main types of inventory: productive, slow moving, and dead. As an e-commerce business owner, you’ll need to understand the unique selling qualities of your products as they fall into each of these categories, in order to make the right calls when it comes to inventory management. Just-in-time inventory management, or JIT, can allow retailers to only secure items when they’re needed. Using this management strategy will allow you increased efficiency, and decreased waste since you’ll only receive the goods you need—in turn, this will reduce your overall inventory expenses. Working on fostering a good relationship and open lines of communication will make your suppliers easier to work with, and more willing to accept your terms. Working in e-commerce, not much business is done face-to-face. However, that doesn’t mean it’s without merit. Making the effort and going the extra mile to nurture your relationship with your supplier with be worth it in the long run, as it’ll make them much easier to work with. Forecasting is an integral part of inventory management. It entails predicting the demand for certain products, and the locations and quantities in which they’ll be needed. How can you foresee the future, and determine imminent demands? By market research, of course. Studying demand models and patterns can also help you determine demand levels and locations. Why should you bother with forecasting? It’ll work to increase your operational efficiency, and save you money in the long run. Any good inventory management software can save you a ton of time and money when it comes to your business—all it takes it setting aside some time to do some research, and find the perfect one. Whether you’re a small startup or an omnichannel giant, using inventory software can be more helpful than you realize. It’ll help you manage stocks and organize your warehouse, as well as reduce the cost of your supply chain and help you avoid going out of stock. Because there are so many advantages to using an inventory software, you’ll see the effects multiplied throughout your business—most importantly, the revenue. If you’re looking for an order fulfillment company to meet and exceed all your expectations, contact APS Fulfillment, Inc. today. We’re a full-service e-commerce fulfillment company that you can trust—we use state-of-the-art technology in your warehouse to keep track of all our inventory, and to ensure that every package gets delivered on time, to the right customer. Our services are flexible, and we can work with you to meet your company’s specific needs. Contact us today for more information about our facilities and services, and to learn how we can help manage your inventory to accommodate your growing company.